Much of the material unique to Luke's gospel involves Jesus' interactions with individuals on the fringes—sinners, women, and children. 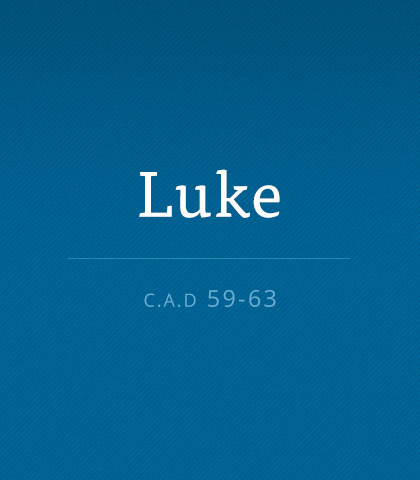 Read more about the book of Luke. With all our daily activities and responsibilities, we tend to push the central doctrines of the Bible onto the back burner. But these truths are vital to our daily Christian walk. Consider the doctrine of the return of Christ—what we believe about this important doctrine affects the way we live our lives. And if there’s one thing we can know for sure, it’s that Jesus will come back to earth one day! But what do we do until then? Like giant containers of volatile gas, money must be managed with great care. Because most of us don’t have more than we need, we must be wise and faithful with what we have. No home can escape the clutches of coin and currency—so we must learn how to implement wise policies of earning, giving, spending, saving, investing, and borrowing. As a Christian, when I think of character qualities I would like to possess one that looms large is magnanimity.